Say goodbye to the shake rattle and roll of loose, noisy, cans. 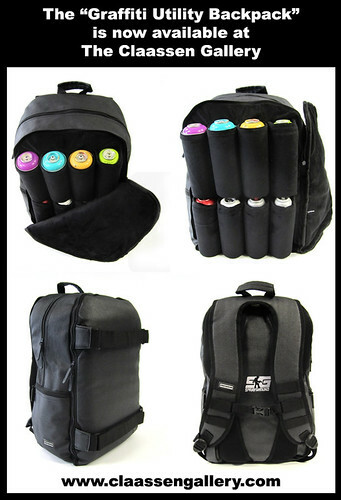 I’m so stoked on these new backpacks by SPRAYGROUND! They’re sleek, slim, and most importantly, ultra comfy! Eight can capacity has never looked so good. They are $60 each and are available now at The Claassen Gallery.